Preheat the oven to 200°C. Lightly grease eight tall ovenproof dishes with the softened butter. Use a pastry brush to brush the butter upwards as this will help the soufflé to rise. Sprinkle the extra caster sugar into a greased dish and turn it in your hand to coat the inside all over with the sugar, before pouring out the loose sugar. Repeat this with the remaining dishes and stand them on a baking tray. To make the soufflé, put the egg whites in the bowl of an electric mixer fitted with the whisk attachment. Whisk on high speed until firm peaks form. Add half of the caster sugar and continue mixing until very stiff peaks form. Transfer to another bowl and set aside. Put the egg yolks and remaining sugar in the bowl of the electric mixer and whisk until pale and creamy. Remove the bowl from the mixer and gently fold in the lemonade and the lemon juice until combined. Gently fold through the egg whites and lemon zest, in stages so it doesn’t collapse, working slowly until all combined. Scoop the mixture evenly into the soufflé dishes on the tray. Bake for 12–15 minutes, or until well risen: the soufflé will form a crust and have a slight golden colour. Notes... Make sure that the oven is hot or the soufflés won’t rise; don’t open the door or they will collapse; and serve immediately or they will collapse before they get to the table. There isn’t really anything to hold the soufflés together so they will deflate if not served straight away. All recipes are made using Anna's Kenwood Chef XL Titanium machine. This sounds quite simple and loving the addition of the soda. Sounds delicious,need to use up all the lovely Lemons on my tree, what a great way to. Kids will like it too! Will be trying this one out as it looks interesting. I have always wanted to try souffle! Interesting recipe; really lovely and thanks for sharing with us all. I’m saving this in Pinterest because it’s so inspiring!!! This sounds like a recipe I could easily master!! oh looks and sounds amazing …yumm lemonlicious. thanks. YUM! 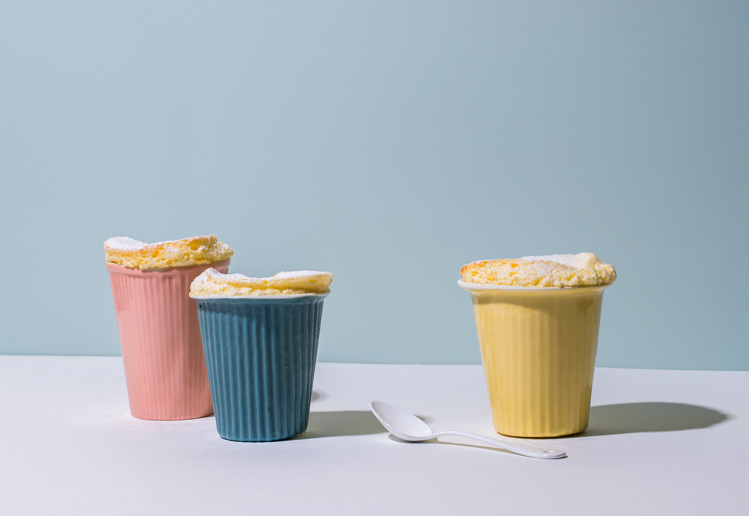 I love Anna’s cooking and presentation, I cannot wait to try her deflated Lemon Souffle!